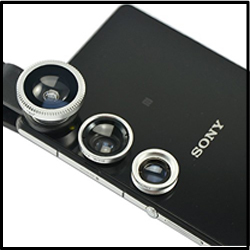 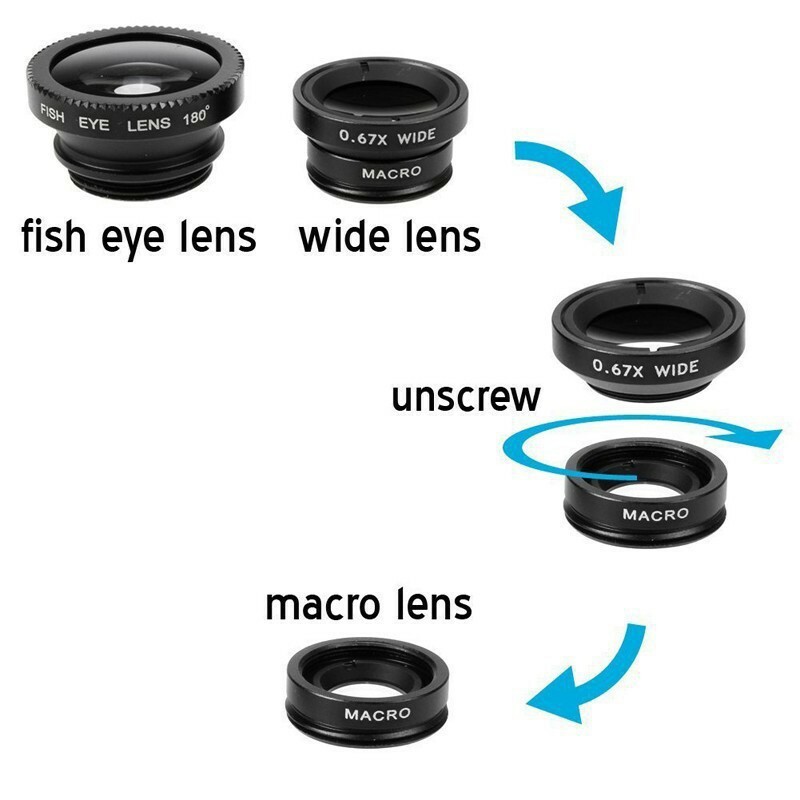 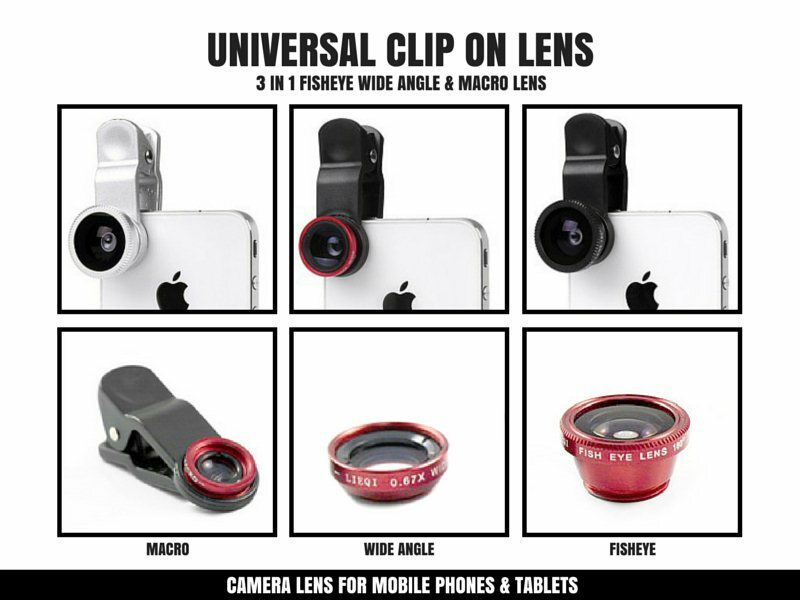 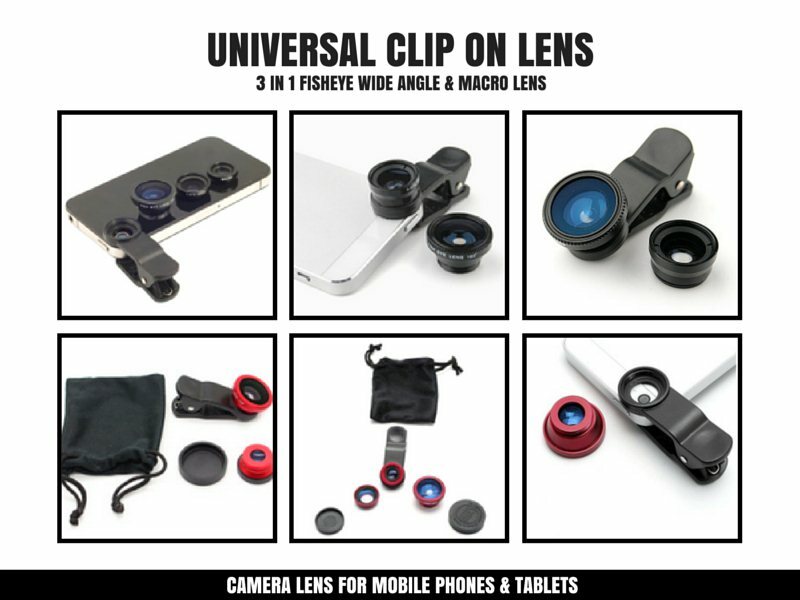 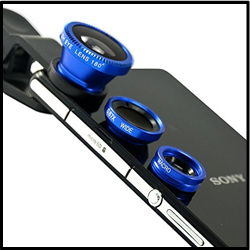 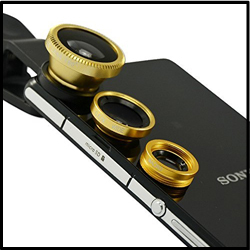 that includes Fisheye, Wide Angle and Macro lenses in one small, convenient package that easily fits in your pocket. 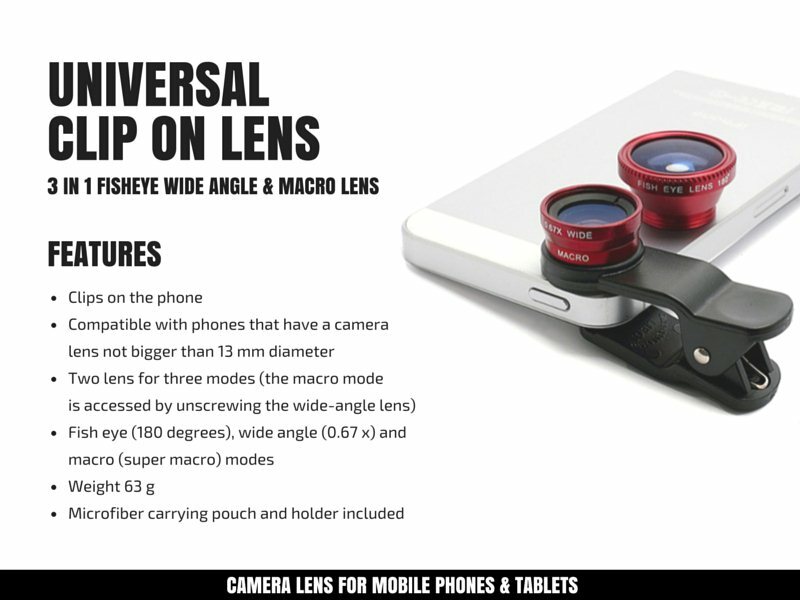 The Wide Angle Lens captures a high definition of the farther scenery, so you can catch the beauty from far away distance. 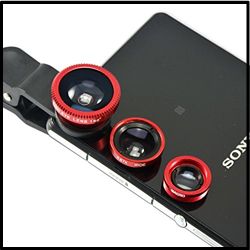 The Macro lens cleverly concealed under the Wide Angle lens applies roughly and allows you to focus the iPhone within 12-15mm of the subject. 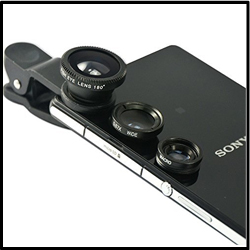 Assures a higher refractive index, resulting in more true colors with higher resolution.